Lady Georgiana Cressington is living a nightmare. Coerced by her father into returning to her childhood home, the young widow becomes a pawn in another of his heartless games. Her return to Summerfield Hall reunites her with the man she once loved before their hearts were shattered by a devastating betrayal. Sir Robert Garreck, an artist knighted by the queen, lives in a mansion near the family estate Georgiana’s father won in a crooked card game. Rob sets out to regain Summerfield Hall to keep Georgiana’s son from inheriting Rob’s rightful home. 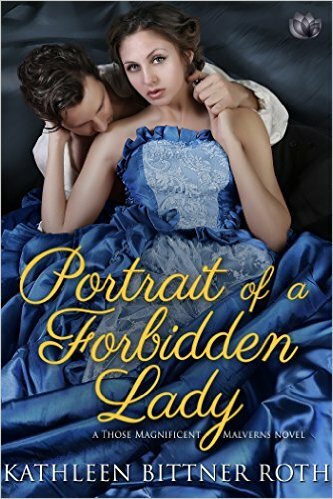 However, when he and Georgiana are thrown together, he craves the forbidden lady he never stopped loving. Facing danger and a long-hidden truth, Georgiana and Rob try to claim the powerful love they once had. The best historical romance I've read in a long time. I didn't want it to end it was so good. The romance between Georgiana and Robert was full of angst and longing. I loved that the author didn't make the characters dwell in bitterness for their lost love but allowed them to embrace their second chance together without acrimony and misunderstandings getting in the way. I loved watching the pair find love with each other again and get their happily ever after. The path to true love doesn't come easy though and the pair have to overcome old secrets and adversaries in order to finally have their happy ending. I love it when there is a little bit of suspense thrown in and Georgiana's miserable father and his nasty henchman provide that extra bit of drama. The author did a brilliant job with Portrait of a Forbidden Lady and I can't wait to start reading the first book in the series. I'm not sure why I started reading the series out of order but each book is a standalone story so it doesn't matter.